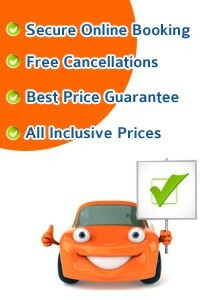 AirportCarHire.com will compare car hire worldwide to get you the best deal. We compare the best offers from Hertz, Avis, Alamo, Budget Dollar, National Sixt, Thrifty Europcar Crown and many more. The large majority of rentals have free cancellation up to 24 hours before pick up. We have no credit card fees and all our prices are fully transparent with no hidden extras. Yes, you can book with a debit card. However when you pick-up the car a credit card will be required for security. Sometimes rentals companies will not request a credit card providing you take out insurance with them. 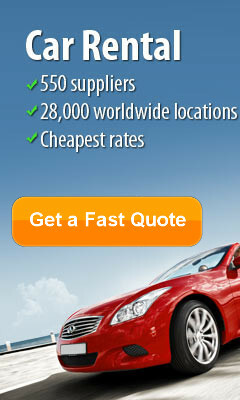 Get in touch and we will get you a quote for car hie without a credit card. Our rates are fully inclusive and additional charges that may arise are optional. For instance GPS, Child seats. out-of-hours pick-up/drop-off, border crossings and one-way rentals. Any additional charges will need to be paid directly at the rental desk in local currency This will be clearly stated in the Rental Conditions at the time of booking. How much is the fuel? The fuel policy is determined by the car rental agent and in most cases dependent on the rental duration. Please click Rental Conditions to see the amount for each car when you do a quote. Once you complete your booking, we will send you a confirmation of your reservation via email. If you haven't received the confirmation please check you spam folder and if it is not there please contact us for a replacement voucher. There is no fee for this. To change or cancel your booking, please use our online portal. Some companies have an excess on the insurance. The excess amount or 'deposit' depends on the car rental agent and the rented vehicle and will be released within 10-28 days after the rental, if there has been no damage to the vehicle. We also offer excess reimbursement insurance in association with Allianz Insurance which will allow you to claim for reimbursement in the event that you've been charged for collision damage. Where are car rental agent desks? What documents are required when I pick up the hire car. When picking up your hire car, please bring a valid credit card in the name of the driver, your international driver's licence, (if required) your domestic licence, as well as your booking voucher and any other forms of identification requested by the car rental agent. Please note that the required documents may vary from country to country. All necessary documents will be stated on the booking voucher which you will receive when you book. I think I've been overcharged what can I do? If you feel that you may have been overcharged by the car rental agent at the desk or after drop-off, please contact us and we will get back to you in a timely manner. There are a number of payment options available which will be clearly stated during the booking process. We are confident that our prices will be better then booking directly, we display the logo of the car rental agent in all our quotes. Can I book more then one car? Yes. Most car rental agents have a minimum age limit of 21 years for rentals, some as low as 19. However, requirements may vary depending on the car rental agent and destination country. Please note that there may be additional charges if the main driver is under 25 or over 75 years old to cover the extra insurance cost. Any additional fee will be mentioned at the time of booking under Summary of Charges before you confirm the reservation. 99% of all our reservations are confirmed within minutes of booking. If this is a shortage of the type of vehicle you requested we will have to confirm the availability with the car rental agent. Once confirmed, we will send a booking confirmation. In cases where the requested vehicle is not available, we will contact you to advise you on other options., however, you can still decide to cancel your reservation free of cost at this stage via our online portal. Yes, you can easily change your booking details. You just need to file an amendment request on our online portal. Please note that amendments can take up to 48 hours to be processed, depending on the nature of the amendment. In some cases we might need to get in touch with you regarding your request, so please indicate a valid email address or phone number in the form. Depending on the nature of the changes you want to make, additional cost might occur, for example in cases where the date needs to be changed and we cannot offer the same price as originally quoted. For further information, you can also contact us via phone. There are different payment options available which are clearly stated in the booking process: Book now, pay later – Pay a small deposit amount at the time of booking to secure the vehicle and pay the remaining balance closer to your pick-up date. Pay now – Pay a small deposit amount at the time of booking to secure the vehicle and pay the balance at the time of pick-up. Post-rental – Pay the full amount at the rental desk. This option is mainly available for rentals in the US and Australia. You should receive the final rental invoice as soon as you drop the rented vehicle off. If you haven't received the final invoice at drop-off, please contact the car rental agent directly. 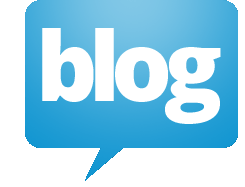 I received an email from your Fraud Department – what should I do? about additional extras and insurance packages. Which additional charges could apply? Please note that each car rental agent has its own policy on additional charges which will be clearly stated in the Rental Conditions at the time of booking. Generally, additional charges may be applied for: Out-of-hours pick-up/drop-off, Border crossing One-way rentals Young drivers or senior drivers Winter tyres Any additional charges will need to be paid directly at the rental desk in the local currency. The excess amount will depend on the car hire supplier and the rented vehicle you choose. The amount will be blocked on your credit card and will be released within 10-28 days after you return the hire providing there has been no damage. We offer excess reimbursement insurance in association with Allianz Insurance which will allow you to claim for reimbursement in the event that you have been charged for collision damage or theft. This excess reimbursement insurance can be purchased at the time of booking. The car rental agent may choose to charge you for cross-border travel. Any fees will need to be paid at the rental desk in local currency. We will state whether cross-border travel is allowed and in which countries at the time of booking under Rental Conditions. Are the additional charges for mileage? How can I reduce or remove the excess from my insurance? How do I make an insurance claim? All claims should be made directly with Allianz when you arrive back home from your trip. You will receive all documents and information needed to make a claim shortly after you purchase the insurance. The fuel policy is determined by the car rental agent and in most cases also dependent on the rental duration. There are different types of fuel policies and we will clearly state which one applies at the time of booking. The most common fuel policies are: Pick up full, return empty – This fuel policy type is applicable to rentals of a minimum of 4 days. Your vehicle will be supplied with a full tank of fuel and can be returned empty. On pick-up, the rental agent will charge you for a full tank of fuel. The price per litre charged by the rental agent may be higher than the price at the local service station. Fuel charges are payable at the rental counter. There is no refund for unused fuel. Pick up full, return full – This fuel policy type is applicable to rentals of 1 to 3 days. Your vehicle will be supplied with a full tank of fuel. To avoid incurring fuel charges you will need to return it full. You may be required to leave a fuel deposit reserved on your credit card that will be released when you return the car full. Missing fuel will be charged on your return. Please note that the price per litre charged by the rental agent may be significantly higher than the price at the local service station. Fuel charges are payable at the rental desk unless otherwise stated. During the booking process, we will display images of similar cars in the same category. Unfortunately, we cannot guarantee that the car rental agent will have the exact same model available. However, you are entitled to a vehicle in the same category, holding the same amount of passengers and with the same luggage capacity. If the car rental agent does not provide you with a car of the same category, you are entitled to a refund. For more information, please contact us. How do I find out about the luggage capacity of a vehicle? Yes. When searching for a car, you can use our search filters on the left hand side and choose to display cars with 'Automatic Transmission' only. The specific transmission type will be displayed with a symbol at the time of booking. Please note that outside of the US and Canada, many car rental agents only have limited availability for automatic cars. My rental car was damaged at pick-up – what should I do? If you notice that the reserved vehicle is damaged at pick-up, raise this issue with the car rental agent immediately and request an alternative. If the matter is not resolved, contact us so we can try and arrange a suitable substitute with the car rental agent. Any damages on the car might affect your excess if not addressed before the rental. My rental car was in a bad condition at pick-up – what should I do? lease note that most of the optional extras are not included in the rental price and can be purchased at the time of booking or at the rental desk. 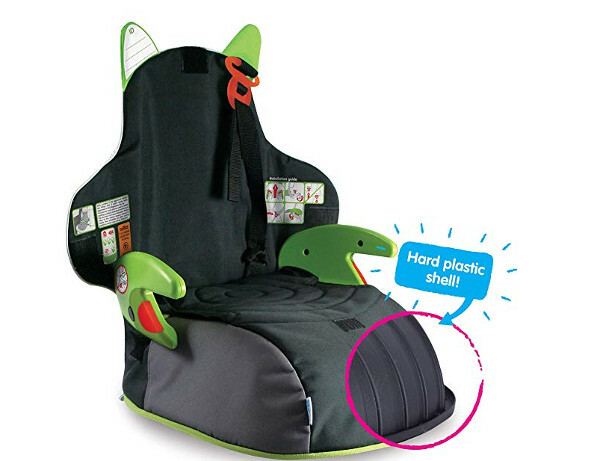 Some optional extras can be purchased on-line at the time of booking and some can only be purchased at the rental desk. To guarantee availability, always purchase the desired optional extra on-line where possible. When will I be charged for optional extras? 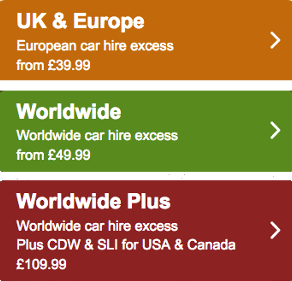 If you select optional extras at the time of booking, they will be added to the total price. However, if you choose to purchase optional extras at the rental desk, the agent will charge you at the rental desk in local currency. I reserved an optional extra but it was not available at pick-up – What should I do? The rental voucher we will send you as part of the booking confirmation contains all documents required at the time of pick-up. In most cases, in order to release the reserved vehicle, you need to bring: Credit card in the name of the driver. Credit cards accepted for pick-up are MasterCard, Visa, and in most cases also American Express. Driving licence. Please note that only a full licence held for minimum of 1 year with no major endorsements will be accepted. about requirements for driving licence Booking voucher. This will be sent to you within 48 hours after booking and must be printed out. Any other forms of identification requested by the car rental agent in their terms and conditions. Details can be found on your rental voucher. If your licence is not printed in the Roman alphabet (i.e. Arabic, Greek, Russian or Chinese) you will need to bring an international driving licence and your domestic licence. If you are renting abroad (outside the EU), an international drivers licence is usually required regardless of the alphabet. International driver's licences must be accompanied by the original domestic licence of the driver. UK licence holders need to present the photo card and the paper counterpart. Is it sufficient to present a copy of my driving licence? We offer a full refund if the booking is cancelled within 24 hours of booking. If the booking is cancelled after 24 hours but before the scheduled pick-up time, If the booking is cancelled after the scheduled pick-up time, no funds will be reimbursed. Terms and conditions apply. Please see rental conditions for the car you select.